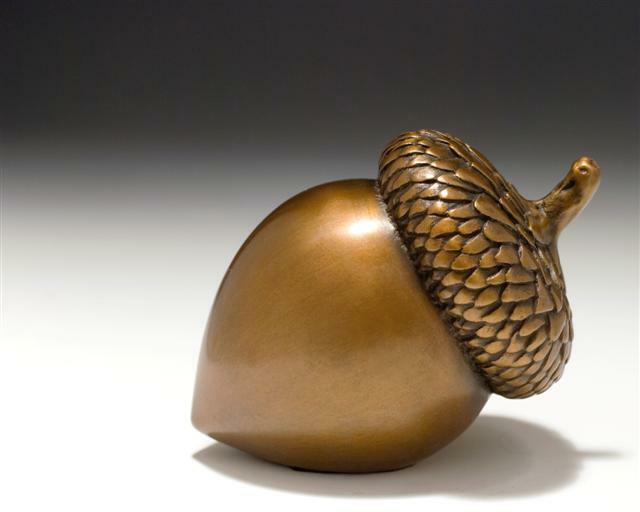 In late 2001, Carol Alleman expanded her artistic visions in clay to include the lost wax casting in bronze. 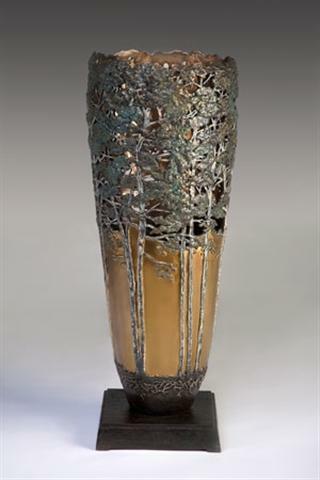 Embracing the alchemistic nature of this ageless material and highly crafted process, she created her first bronze vessel, Miracles. 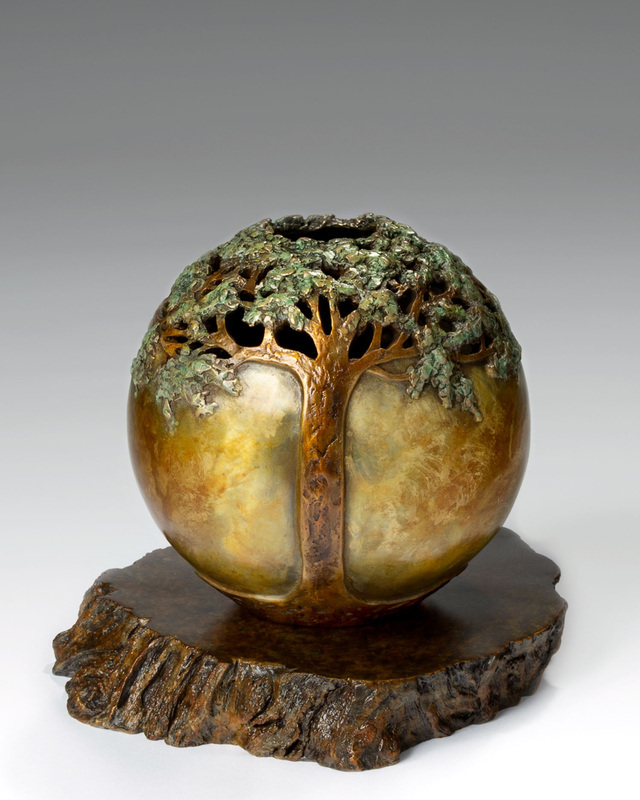 Thus began the mystical and organic Tree of Life and Nature Vessel Series. 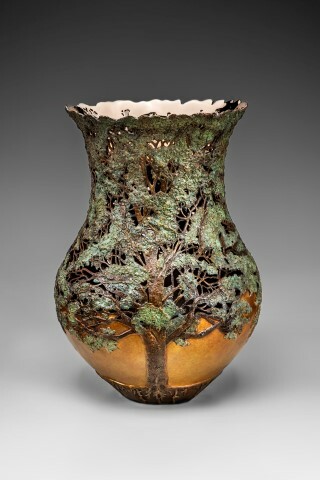 Her signature, museum-quality work encompasses highly evolved, intricate patinas within the vessel form. 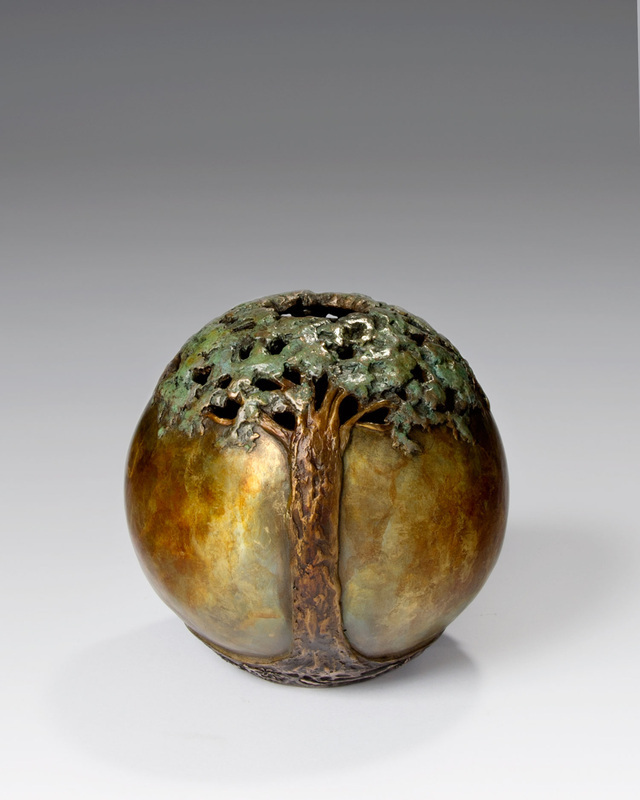 Companion Writings accompany each bronze - contemplating thoughts and questions on the philosophies of life, the human condition and the countless mysteries of nature. 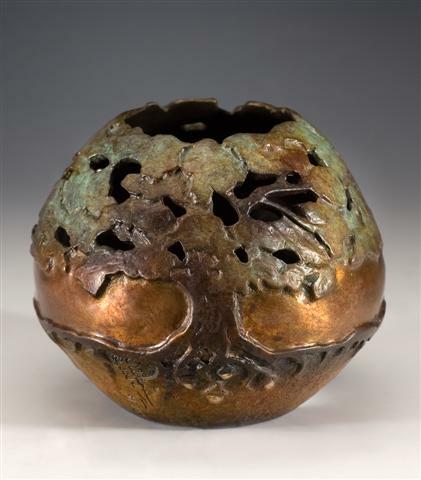 Combining the written word with her growing forest of bronze vessels, Carol additionally inspires audiences through her presentations and poetry readings. She is a Gardener of the Soul. 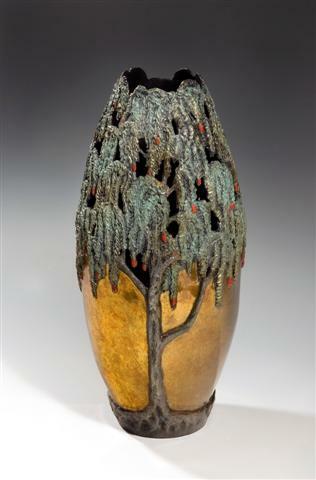 Carol’s artistic inclination combines her ability to transform emotion into word and object through her own curiosity, love of nature and life experience. The common thread, both in the approach and work itself, directs her mystical life journey. 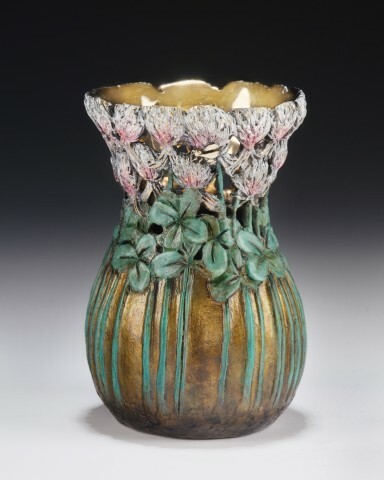 She exhibits across North America and appreciates an international collector base. Creating professionally, for me, is trusting that my small piece, if done with authenticity, is the greatest gift I can offer and that it does ultimately make a difference if I offer or withhold that gift. It's a way of expressing my personal truth, whatever color it may be, and trusting that expression as a language of the soul for others as well. 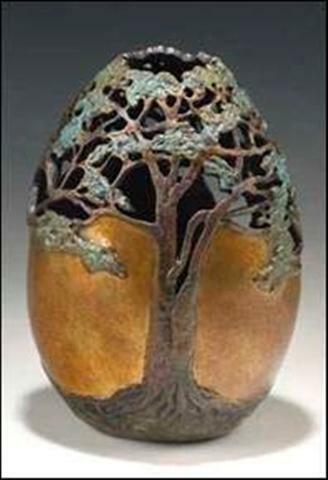 I think of myself as an alchemist -- starting with the most common of elements (clay and water), I create from a mystical place within me and bring together various materials, symbols, and images that I trust to be as transforming and peaceful to others as they are to me. When I abandon product expectation and simply remain awake to all that is in my midst, forms, images, and inspiration miraculously lead the way. Often I am amazed when looking at a completed piece that really pleases me, as if to look over my shoulder and say, 'who did that?' I feel both humbled and honored, knowing I was there; my hands following something much larger than myself. 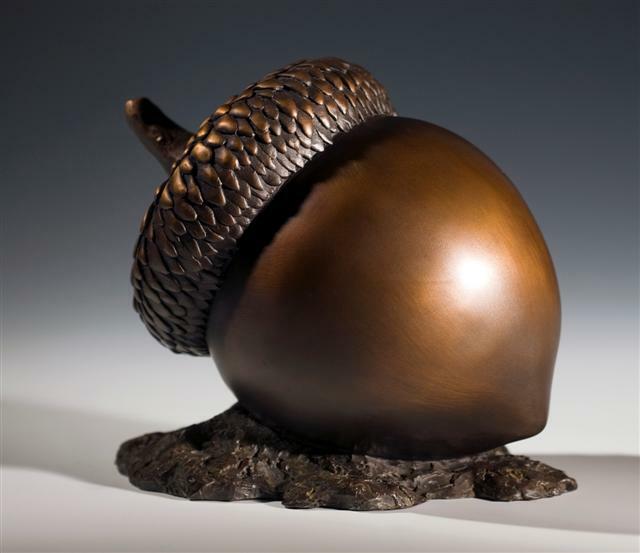 Born in rural PA she obtained her degree in Art Education from the Pennsylvania State University (PA/USA); and continued graduate studies at the Lancaster Theological Seminary (PA/USA). Most recently she has completed studies with various contemporary artists at the Scottsdale Artist School, Scottsdale, Arizona. 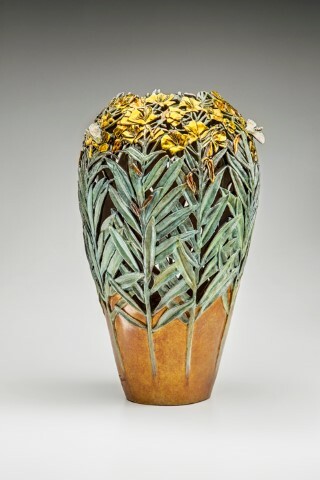 She is a member of the National Sculpture Society (Associate), and American Women Artists.